The shutdown of large parts of the federal government is the harsh consequence of a dysfunctional Congress that’s unable to find enough common ground to secure the health and well-being of the country’s citizens. The bitter partisan dispute, which caused the furlough of more than 800,000 “nonessential” workers and brought many government programs to a halt, centered on health care. Americans’ frustration with lawmakers is reflected in a new CNN/ORC International poll. It found that the American public’s approval rating of Congress stands at 10%, an all-time low for the poll. With funding for the federal government due to expire on October 1, a continuing resolution from Congress was needed to avert a government shutdown. In its initial vote on the continuing resolution, the Republican-controlled House of Representatives attached an amendment that would have defunded the President’s seminal legislative achievement, the Affordable Care Act (ACA). The Democratic-controlled Senate quickly defeated the bill on a party-line vote. The House then passed a second continuing resolution that included a requirement that the implementation of critical parts of the ACA be delayed for one year, that the employer mandate for coverage of contraceptive services include an opt-out, and that the controversial medical-device tax be revoked. 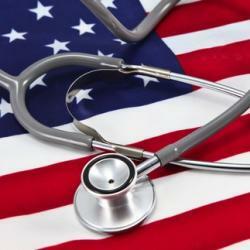 We believe that the medical-device tax is an appropriate part of the law’s funding mechanism. 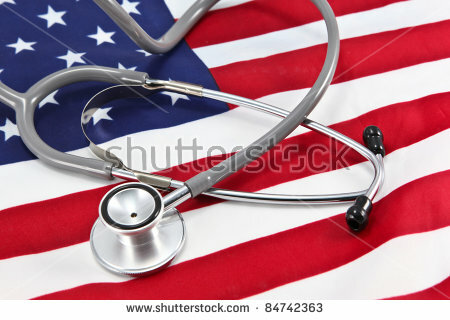 Because the ACA’s expansion of health care coverage to millions of Americans was expected to increase profits for the medical-device industry, lawmakers included a payback in the law in the form of a 2.3% tax on the industry, which would amount to $30 billion over 10 years. New taxes were also mandated on other stakeholders in the health care sector, including the pharmaceutical industry, insurance companies, and hospitals. These taxes are critical to the fiscal stability of the ACA programs. Since its inclusion in the ACA, the medical-device tax has been fought vigorously by the device industry and its powerful lobby, the Advanced Medical Technology Association (AdvaMed), which has aggressively argued that the tax serves only to stymie innovation, kill jobs, and ultimately harm patients. There is little or no evidence that these claims are true. Still, among lawmakers, there has been bipartisan support for eliminating the tax from senators and congressmen whose states (including Minnesota, North Carolina, and Massachusetts) are home to key device manufacturers. Thus, Republican House members, attempting to dismantle Obamacare, seized upon the device tax as one focal point of their attack. But like the first continuing resolution passed by the House, the second was declared dead on arrival in the Senate, resulting in today’s closure of large parts of the federal government. Senate majority leader Harry Reid (D-NV) might have achieved consensus around a compromise bill that removed the one-year delay on implementation of the ACA but retained the provision eliminating the medical-device tax, but he rightfully played hardball and rejected all compromise. The House was still not finished. Another measure passed by the Republican Congress would have kept the government open in exchange for delaying implementation of the ACA’s individual mandate and eliminating federal health care contributions for lawmakers and Capitol Hill aides. The measure would have been especially unfair to aides, who rely on government support for their health care. We applaud the Senate for ignoring these demands as well. In every legislative measure, House Republicans used blackmail to pressure Democrats to reverse or delay parts of Obamacare or face the threat of a government shutdown. In an ironic twist, on the same day that the federal government shut down because of partisan differences over the ACA, the new insurance exchanges established by the law to offer health insurance to millions of uninsured Americans went live. In another piece posted today, Henry J. Aaron of the Brookings Institution and Kevin Lucia of Georgetown University provide a more detailed post on the exchanges. We agree with Aaron and Lucia that without them expanded coverage of uninsured Americans will not be possible and that there are strong reasons that both conservatives and liberals should want them to succeed. Although the federal government has been shut down 17 times before, this is the first instance in which the government has been shuttered over a health care dispute. It is a telling statement about just how bitterly divisive the health care issue has become. Where we go from here depends on who blinks first, President Obama or House Republicans, and thus far there is no evidence that either will do so. Never before have we witnessed such a standoff — provoked by a bitter disagreement over a law whose principal noble aim is to provide high-quality health care to Americans.